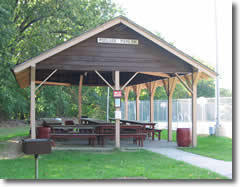 Includes use of all recreational facilities (volleyball nets, basketball courts, horseshoe pits, 2 playgrounds, 2 Gaga courts, trails in woods, softball/kickball field, open fields for games). Guests must provide and be responsible for their own athletic equipment. This cost does not include use of pool. See pool cost below. *Full Property-Use: This includes use of all outdoor facilities and bathrooms. This would secure the entire property for your group for the contracted time. This time shall be no earlier than 9 A.M. and no later than 7 P.M. Group leaders must stagger swimmers when using pool. CSF Provides certified lifeguards during scheduled swim times. See pool rules here. Cost includes use of kitchen, dining hall and lobby area. NO bathroom in building, facilities are a short walk to the pool complex. Groups under 25 will be charged for a minimum of 25 persons. Cost includes use of kitchen, dorm wings and lobby. Groups under 25 will be charged for a minimum of 25 persons. No heat in this building, so availability is seasonal. Cost includes use of large and two small adjoining rooms. Cost includes hot and cold beverages. Year round availability, no lodging. Wooden bench seating for over 100 persons. There is a large rustic wooden cross, and a fire circle, all over-looking the woods and creek area. 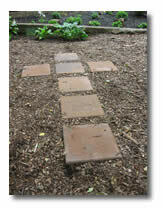 In 2005, the Cornerstone disciples added this small garden. It is a place specially designed to sit and reflect and pray. This gift was developed, created, and paid for by our Cornerstone youth. It has changed over the years to take on different looks and designs, but it is still maintained by the youth. You can ask for a pamphlet in the office to help lead you in prayer as you visit the garden.